What would you do if you walked into your basement and saw a 600 pound elk staring right at you?! 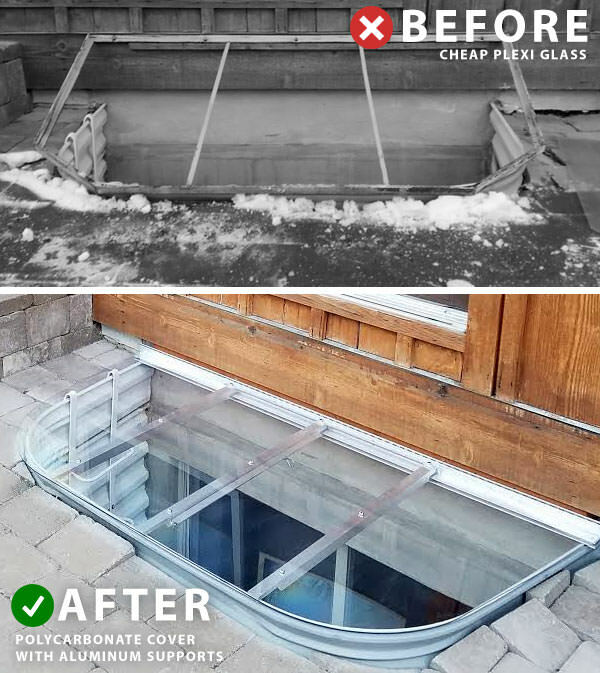 After things settled, the homeowner, Matt, reached out to Window Well Experts looking for a replacement cover to keep out mother nature, so we came up with some custom covers to cover his large and elk friendly window wells. 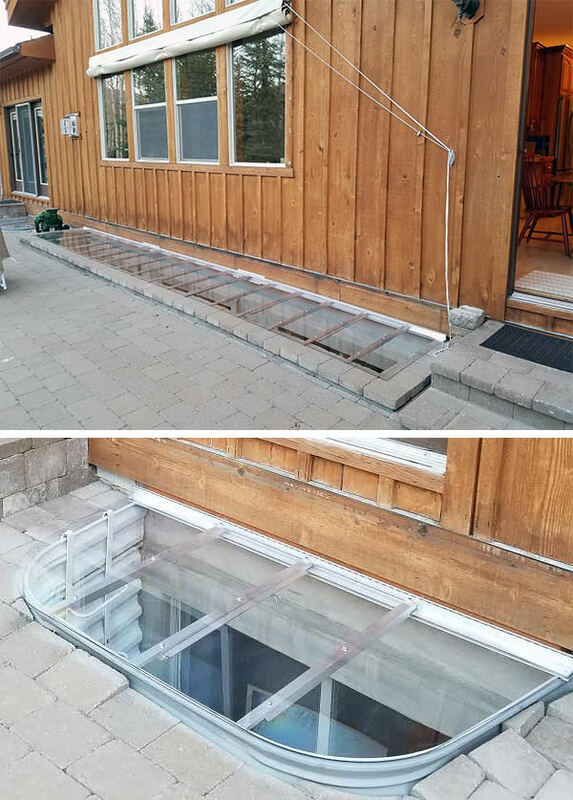 We’ve hooked Matt up with industrial strength Polycarbonate window well covers, with aluminum supports, to keep his home elk free from now on. All of our window well covers are poly carbonate, not cheap plexi-glass like you pick up at your local hardware store. Our covers are made to last and withstand the elements… even wildlife.